Years ago, the website Earth Porm reposted my article “The Ultimate Guide to Traveling When You’re Broke,” and in January, social media maven and actor George Takei shared the post with his eight million Facebook fans (as a huge Star Trek geek and sci-fi nerd, I did jump up and down a bit with joy). The comments made me realize that despite all the detailed websites and books on how to make travel affordable and accessible, too many people still believe the notion that travel is expensive, unsafe, and impossible unless you are rich. Too many say, “I can’t. It’s impossible” and, like we saw with Bob, become cynical about travel. Yet the notion that travel is expensive couldn’t be further from the truth. There have never been more ways to do it for less. I know this from countless stories and thank-you letters and emails from readers. It’s time to put these common beliefs about traveling to rest and show why they’re wrong. 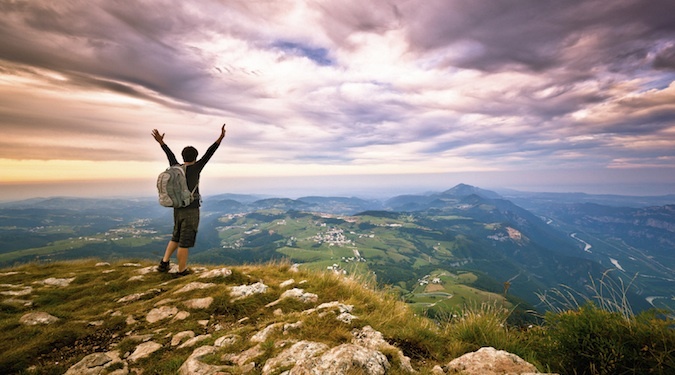 Myth #1: Travel is expensive and, unless you have a trust fund, you can’t do it. Everything costs some money. No travel is free, but the idea that most people hold of travel is the result of advertisements, commercials, and travel magazines that highlight fancy tours and luxurious accommodations, and use subtle marketing language that says “a fun vacation is an expensive vacation.” After decades of being bombarded by these messages, our collective consciousness equates travel with luxury. When I first started traveling in 2004, I believed this too. I remember looking up tours to Australia and thinking “No wonder I don’t know people who travel. It’s over $3,000 for a two-week trip!” When I started planning my round-the-world trip in 2005, saving for it seemed like a daunting task. It took my entire savings plus another 18 months of constant overtime to save for my trip! But you don’t need a trust fund or a high-paying job! Michael worked a job paying $9/hour and saved $14,000 for his trip. It can be done, even on minimum wage. It may take longer to save for your trip, and you may need to make sacrifices, but if you want to travel — whether for two weeks or two years — you can find a way to make it happen. And you don’t need to save for the whole trip before you leave either. You can work when you’re overseas (see tip #7). Myth #2: Credit cards are a stupid financial move. When used properly, credit cards are smart financial instruments. You can earn hundreds of thousands of miles per year that enable you to travel for free (and they offer better purchasing protection than your debit card). Simply having them won’t send you into debt or cost you high interest rates. Just make sure not to spend more than you have and to pay off your bill each month. 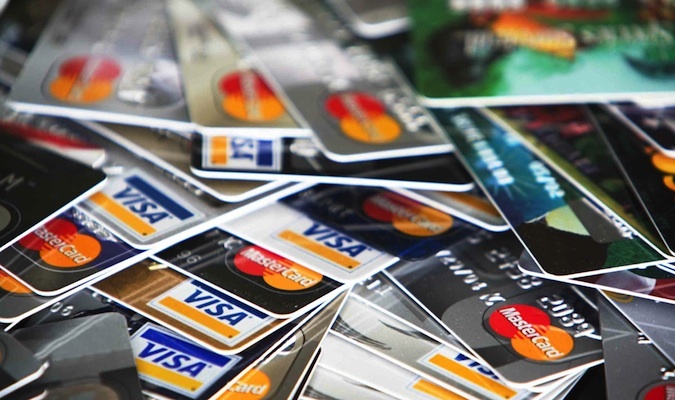 Moreover, having multiple cards increases your credit score over time. One of the biggest factors in your credit score is your credit-to-debt ratio; having several cards increases that ratio. If you have $10,000 in available credit over 10 cards but only use $1,000, your credit score will be better than if you had $4,000 over two cards but only used $1,000. Although applying for cards will cause a temporary dip in your credit score, it gets corrected within two months. Space out the applications and you won’t see a sustained negative impact on your credit score. The most important thing you can do for your credit is to pay your bills on time and avoid hitting your credit limit every month. I have 18 credit cards (though I only actively use three) and a credit score of 797 out of 850. Myth #3: Couchsurfing is unsafe – I would never stay in a stranger’s home. People on Couchsurfing (and, for that matter, around the world) are kind and helpful. They want to show you the best their home has to offer. Experience has shown me you can rely on the kindness of strangers. Yet there is a general fear of staying with strangers because we believe the world is unsafe and dangerous. People think “Stay with a stranger? No way. That’s dangerous.” Because, despite the fact crime has gone down, we perceive strangers to be dangerous. We just don’t trust people anymore. And that fear makes people mistrust hospitality websites like Couchsurfing. However, websites like Couchsurfing allow you to see a host’s reviews and choose whom you stay with, and you always have the option of backing out. Single woman? Stay with another woman! Have a family? Stay with a family! You have many options and ways to research your hosts. 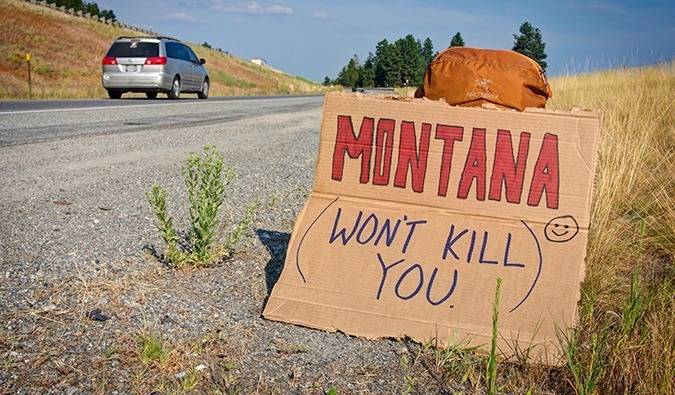 Myth #4: Hitchhiking is unsafe. The idea that hitchhiking is always unsafe dates back to the 1950s when the FBI lead a scare campaign to get people to stop the practice (which was very common back then), in part because civil rights activists were hitchhiking to rallies. The FBI’s campaign permanently embedded in the mind of people that hitchhiking is dangerous by claiming that most hitchhikers were murderers. Combined with a general sense the world is unsafe (see above), hitchhiking continues to be perceived as a dangerous activity (even if it is not). But as Matt and Kristin (and even John Waters) have shown, not everybody ends up in a ditch by the side of the road. I’ve hitchhiked in Europe, the Caribbean, and Central America and met wonderful, interesting people in the process. Hitchhiking is about using common sense. You don’t have to get into any car that stops. Use your judgment. Don’t assume everyone is a psychotic killer. 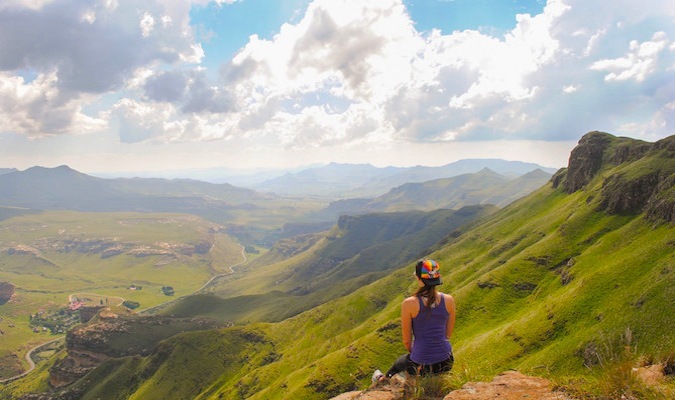 Myth #5: Travel is dangerous for women. Men and women both face risks on the road, but women do face additional hazards men don’t and have to be extra cautious in certain circumstances. However, the “if it bleeds, it leads” approach to reporting highlights only the negative stories and bolsters the perceptions that the world is so scary that solo female travel is very, very unsafe and murderers lurk behind every corner. That’s not true at all. You have a higher chance of getting hit by a bus than you do of ending up like in the movie Taken. If I look back on the times when people have told me “Don’t go there!” or “You might die!” it’s mostly advice from people who have never been to those places and have never done any research on them. The press is hugely influential. I can’t tell you how many times I’ve read international press coverage that is flat-out wrong. You need to find trustworthy sources and advice from people who know what they’re talking about. I once mentioned to my parents that I had plans to go to Rwanda. My concerned father told me, “You’re not going.” He was obviously worried about Rwanda’s tumultuous past. Had he done his research, he would have known that Rwanda is the safest country in East Africa. Once he researched it, I never heard another word about it. The crime rates in your backyard can be just as bad as the destination you’re headed to, if not worse. Every day millions of women travel the world alone. It’s safe and doable, and you won’t end up in a ditch! Myth 6: This advice is only useful if you are young and single. 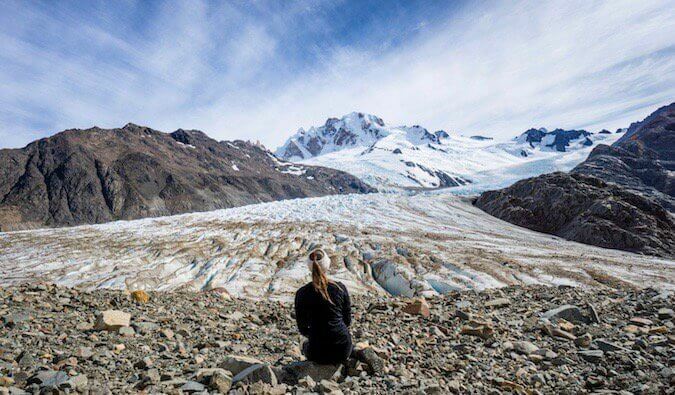 Too many people believe travel is something you can only do in your single youth. 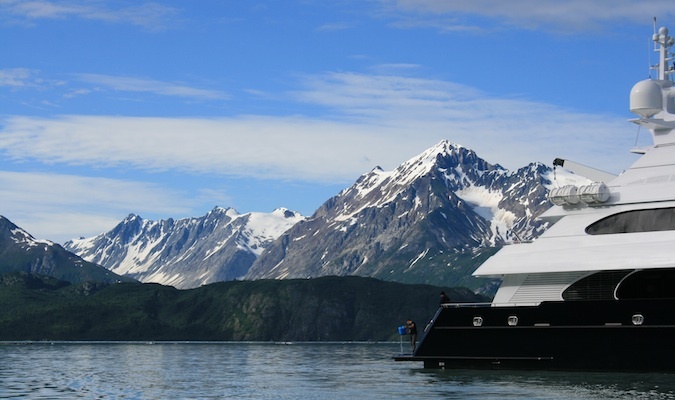 I understand that when you are older, you may want more luxury and that family travel requires more planning, but travel is not solely the purview of the young. The tips and advice in the Earth Porm article and on my blog apply to everyone. Age doesn’t matter. I’ve seen families and seniors backpacking around the world, staying in hostels, and driving RVs. You are not limited by age, only by mindset. Myth #7: You can’t work overseas. There are a variety of ways to work overseas. We think of work as a job that requires interviews, visas, and a résumé. This isn’t always true. If you want to work and are flexible about what you’re willing to do, you can find employment. There are many legal jobs for travelers all over the world. Australia and New Zealand offer working holiday visas where travelers under 30 can get a year-long work visa. You can teach English around the world, work on a cruise ship, or get a freelancer visa in Germany. 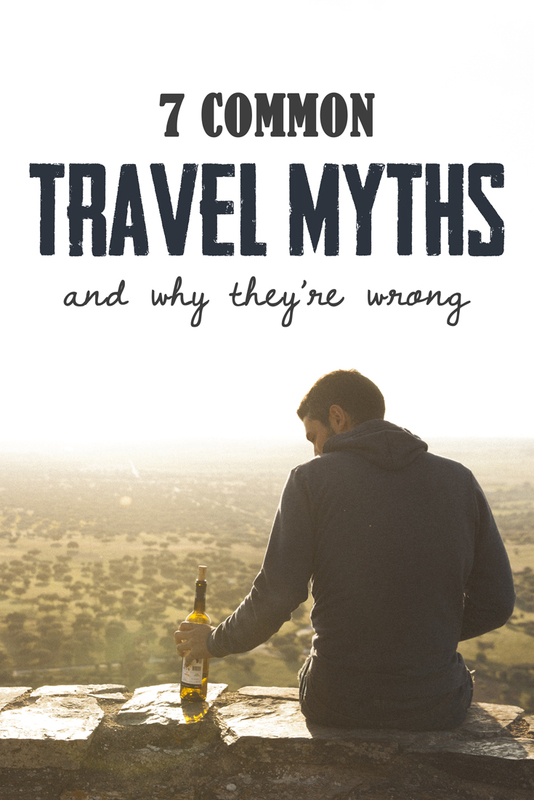 These travel myths come from years of being indoctrinated with the beliefs that travel has to be expensive and the world is scary. Your job is to ignore the naysayers. There’s an excellent community of travelers here who will support your decision. 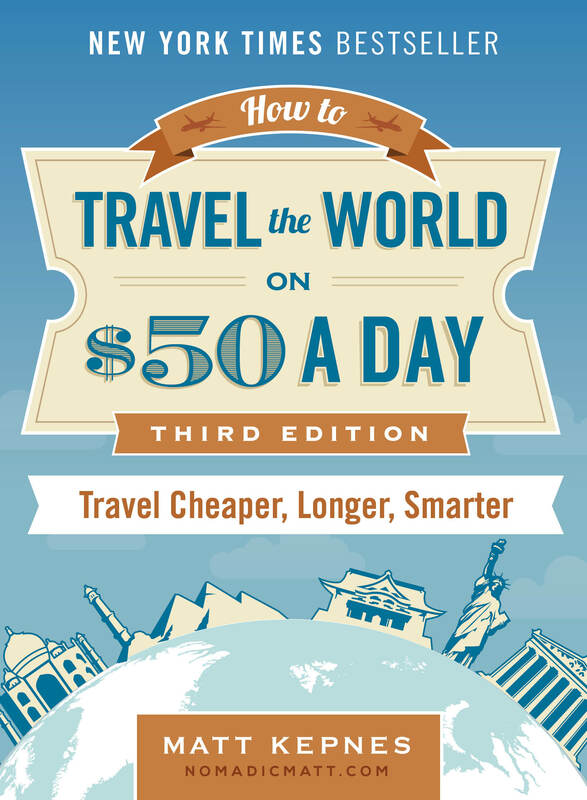 Travel is possible for the vast majority of us — no matter your budget. The comments in that George Takei post inspired me to do something I’ve always wanted to do: create case studies about travel. I want to help you reach your travel goals and show that my situation can be replicated by anyone. I will help five people (three men and two women, three of them non-American) plan their trip from start to finish. Together, we will create a step-by-step financial program that puts them on the road toward traveling. There are no fees or strings attached. I’ll work with you via e-mail, phone, and Skype to create a plan and help you stick to it so you can travel sooner than you planned and for less money. I’ll help you every step of the way and will feature these case studies on the blog when they are done as a way to help and inspire others. Let’s stop the continued spread of these old travel myths. Let’s fight these fears, dispel the myths about travel, and encourage more people to get on the road and explore the world. I was just talking to my friend today about this. My parents are freaked I’m couch surfing, don’t understand when I get in cars with strangers and think I’m going to raped. The thing is people who haven’t traveled have a hard time conceiving the things travelers do, especially Americans. Americans are taught people are bad and will kill you if given the opportunity. Since I’ve traveled, I realized that more often than not people go out of the way to be good people. A positive attitude can get you farther than you can ever imagine (but use caution of course). Great post and so true! I sometimes feel desperate when I hear/read reactions like the ones in the comments above. I guess some people will never think beyond popular myths no matter how much you try to prove the opposite. “You are not limited by (fill in the blank), only by mindset.” Best advice ever! It’s so, so painfully obvious that those who commented on Facebook have never traveled… and probably not for any of the reasons they mentioned. Honestly, I am more scared at home than I am in foreign countries and I am always pleasantly surprised by new places that I visit. I think people just look for excuses to talk crap about something they are afraid to do themselves. Jealous much? The naysayers are likely those who can’t get out of their own way. Envious, and putting up their own road blocks so they never have to face the sacrifices necessary to do this. I, too, was skeptical prior to my travels. But I realized, “If now now, when?” And “If I wait for the ‘perfect time,’ it won’t happen.” So I saved up, quit my job and traveled for three months in Europe in the fall of 2013. Travel is a priority for me, so now I’m saving again for two months in Italy this fall. If you want something badly enough, it’ll happen. Nike says it best: Just do it. Anyway, great post (as usual), some of the narrow-minded comments really made me laugh! Positive attitude! I am glad someone wrote this post! I like your advice on credit cards. Although I don’t own a single credit card, I can understand how beneficial it can be. Who wouldn’t want to earn frequent flyer miles? 🙂 But above all, the biggest myth that people carry in their minds is that travel is only for the rich. I know myself that I am certainly NOT rich, yet I have traveled to many places! The secret is – I have made travel my priority in life. It’s pretty simple! I can personally attest to (almost) all of these, and especially #6. I just traveled through 12 countries in 12 months with a kid under the age of 2, and it was much, much simpler than even other experienced travelers assumed it would be for us. Awesome advice! I have a partner, but I still largely travel alone because he’s a homebody. I think you said in an earlier post that you’d have never traveled so much if you’d waited for other people. I’d also add to the last point that if you’ve got a marketable skill and put in the effort, it’s pretty easy to find remote work through Elance. Do the work on your long haul flight and upload it when you get to your hostel! About myth 6 – I’m in my twenties but my greatest hero is Dervla Murphy who travelled well into her eighties, mainly on a push bike 🙂 what a woman, please read her books, they are fantastic! I also agree you don’t have to break the bank to travel, but I like to treat myself and stay in at least one really nice hotel on every multi – stop trip. Anyway, I completely agree that everything costs some money. I study and work in Paris and when I travel around Europe I spent less than the amount of money I would spent back in Paris. You just need to find the good deals, from air flights to food. Great read. We traveled, back packed 3months SEA, 3months India and 3months Europe with our girls 8 and 10yrs from New Zealand. We are a middle income family but decided to sell our home and most of our belongings’ as this is what WE wanted to do! Absolutely no regrets! We are much closer as a family. We never got anything lost or stolen and the only illness suffered was an ear infection, eldest daughter in England, and I got a tummy bug last few days in India (my own fault!) and we only ate street and local food! Our budget was very minimal!! As others have said, the first to criticise are those who have not experienced or sit at home listening to the crap media spread! Obviously, travelling with children all your senses, including common sense, are in overdrive most of the time. But we also found this an advantage too as locals loved the children and would often go that extra to help and make us welcome. ???? Happy travelling, make those plans and just do it!!! My fiancee and I returned today from a 26 day trip to the Monterey area of Northern Mexico. We spent our time at the rock climbing destination of Potrero Chico. While parts of Northern Mexico can be dangerous to travelers, we found Potrero Chico to be a friendly and safe place. Our total cost was $885 for the two of us. This included our airfare and all of our expenses in country. Yes, we slept in a tent, but stayed at a campground that had a group kitchen, hot showers and internet. We only ate at a restaurant four times, but the friendly farmers market allowed us to create tasty and healthy meals. Beside the amazing rock climbing, we enjoyed local horse festivals, free outdoor music concerts and the smiles and laughter of the friendly locals who patiently tolerated our attempts to speak Spanish. Love #5!! That was the number one comment I received from friends and family before I left. Either ‘is it safe’ or ‘are you scared’. I´ve been in South America for a month, and although it might not be as easy for women as it is for men, it is far from just being dangerous. Great tips! When we took off a year to travel we had so many comments about how people would love to do that too but couldn’t save up. It’s all a matter of priority and setting travel as your goal, whether it’s a short or longer trip. We nixed out costs like dining out, drinks, coffees, etc and by staying in or enjoying free activities helped us achieve our goal. I really like this post since it touches upon many topics and misconceptions that people have in regards to travel. I especially like what you have mentioned about females traveling. I myself, have traveled to many countries in Latin America alone, and am proud to say I was never put in any extreme situations where I felt endangered because of my gender. It is not fair to miss an important part of a culture simply because it is “unsafe”. I think that as long as you have a good head on your shoulders that stereotypes as you mention should not be taken to heart. Nice mythbusting, Matt. My wife and I saved up for quite a while, sold the house, quit our jobs before we jumped off into the world to travel for a bit in our 40s. We have heard so many people tell us that they can’t do it for many of the reasons you have described. Maybe not everyone wants to leave their comfort zone. That being said, we are amazed at how many people we have met out and about who are actually living their travel dreams, from young adults, parents with small children, all the way to 70 year old couples with bad knees and missing an eye (true story) climbing mountains alongside of us in Albania. I don’t think people understand that there are many ways to travel, not as many restrictions as they think they have, and many options and budgets that they can consider. Thanks for trying to spread the word. It’s a big amazing world and we wish more people could see it! Thanks for getting the word out that the world isn’t an inherently scary place that we should all be afraid of. Traveling is no more scary than hanging out in your own city, people just get bogged down with irrational fear that prevents them from having an open and accepting mind. I mean, budget travel isn’t for everyone, but I think it’s the same irrational fear that leads to bashing your article. Like you said, there are plenty of incredibly ways to travel for cheap and you’ll make those concessions if you really want to. If you don’t want to, then why spend the time reading the article in the first place. I couldn’t agree more. I myself come from financial disadvantage and am the first in my family to go to university but that doesn’t stop me working 30 hours a work while studying full time in order to save to travel. It’s all about mindset and that’s probably the number one lesson I have learnt from reading your blog! Couchsurfing is now my favourite way to travel and I’m had awesome opportunities as both a host and surfer. Also by hosting surfers myself and introducing them to my family I’ve managed to convince my parents and the rest of my family that it really is safe, but also an amazing community. My Nan even couchsurfed last year! Hi Matt, totally agree that you don’t need to spend a lot to experience amazing places. When Barry and I toured around South East Asia in 2012 we kept to a really tight budget and managed to survive on an average of around $50 per day for both of us including our accomm, transport & tours! And this wasn’t even the cheapest accommodation available as we prefer to have a private room in decent hostels and guesthouses which was easy to find there and it usually had an ensuite, aircon & breakfast included too! Our friends and family were shocked when we told them how cheap it was. I personally think South East Asia is the best for comfortable budget options so would definitely recommend anyone to start their travel adventures there! Folks out there just do not understand us! Those of us that have a real NEED to travel and make it happen! I so look forward to your E-mails because there is so much useful information in them also your books. The sad fact is folks will just sit at their coumputer and look at photos and dream and never make it a reality. YES it is possible and Matt can help make it happen! As much as we all want people to travel and experience the wonderful world as we have, not everyone is truly capable of letting go of their preconceptions and anger. And I for one am happy not to encounter these people on the road…they are the ones for whom nothing is ever good enough. Let them stay home. All they are missing is the disappointment they expect anyway. Many of the naysayers forget that they already live in statistically one of the most dangerous countries in the world. Think of credit cards as “convenience” cards rather than as loan cards and you’ll do fine, using them for introductory offers and to build up “points”. Use them to pay for everything you can possibly can – bills, groceries, etc. with the understanding that you’ll be paying them off each month. (That last part is KEY. You can’t spend more than you can pay off each month. If you are not disciplined enough to do that then this strategy isn’t for you). Thanks to your travel blogger son, we got a Chase Sapphire Preferred credit card which gave us 40,000 points just for applying and spending $4K in 3 months. (If you don’t think you have enough expenses to do that, find a friend (a REAL friend) who will let you pay things for them on your credit card and give you the money back then and there). What I love about the Chase Sapphire Preferred card over the Capital One credit card (both don’t charge foreign currency conversion fees) is that the Chase card lets you partially pay for tickets with points if you don’t have enough points to use for a full ticket and also lets you transfer points to certain airline points programs. (PS: I don’t work for Chase!) Happy trails. You can do this! I’m a 50 year old single male and have only been travelling the world since 2011 and about to go on my 3rd trip to the US so it can be done. I’m constantly amazed when people say to me, oh gee you’re so lucky to be travelling, I wish I could afford to. Well you can, it just depends on what you’re prepared to give up in order to travel. I used to go to concerts and sporting events a lot but have since stopped doing it and theres probably 20 or 30 concerts I could have gone to in the past 5 years but didn’t, because I wanted to travel, and at $100 a pop for a ticket, that’s money I can use overseas. Buying DVDs and CD’s I also gave up. Sold nearly all the ones I own and just watch or listen to stuff online or download it. Much cheaper. In regards to travel being unsafe, when I went to Cambodia in 2012, my mum was so afraid for me due to the problems there in the past but as I said to her, you can walk out the front door tomorrow and get hit by a bus, so theres danger everywhere. Even though I’m 50 I prefer budget hotels to luxury. As long as I have a bed, shower, air con and a small fridge, I can stay anywhere, and found a really good 3 star hotel in Cambodia for $20 a night and free brekkie. Saving can be done too. I have a coin jar in my room and every day when I get home, throw whatever coins I have in there. It quickly adds up and if a bill comes along the money comes in handy. I’m not saying I have all the answers, but I also don’t think its as hard as people make out. There are great deals out there if you’re willing to look and don’t mind staying in cheaper accom instead of 5 star. My attitude is, why pay more on a hotel room than you pay on rent where you live. This is your best column yet. One thing that came to my mind about the “Haters” is that people like to make excuses why they do not travel. Rather than admit they’re afraid, it’s easier to start an argument. That thing about travel being dangerous for women really made me laugh. I’m probably one of your older readers, and I was bit by the travel bug when I was quite young. Whereas my mom and gramma only left their neighborhood on the most rare occasion, I’ve lived and worked overseas most of my adult life. Many of the guys (and gals) who whined about being overseas when I served in the military (Air Force and Army) never left the base/post. If they did go, it was only on group tours that someone else organized … not that there’s anything wrong with group tours. They were scared of different cultures and situations outside the safe “Little America” we found on base. I loved being overseas, trying new foods, meeting different people, seeing & experiencing new places! My greatest “reward” is when our son went even further than we’ve been. Thanks for your great words and inspiration! Such a great post Matt and a necessary one too. It’s maddening that people still think that travel is for the crazy! It just isn’t true. Anyone can travel, it’s that simple. Sadly from people based in the US! I even said that you didn’t have to leave the country just get an old banger, huddle with a few friends / family and set off. But apparantly, this was still too much and fear crept in. Sigh! Thank you! I shared this on my FB and would love to put a link to in in my blog if that is ok with you. One of the most common comments we here from people when they find out we sold everything to travel (on a wing and a prayer of earning money on the road from our art) is ” I wish I could but it is impossible because (fill in the blank) ” and so many of those reasons are things that are mythical fears that are perpetrated by the media. Representing the older gen, I am 58, my wife is 53. Last summer we spend 5 weeks in Italy on a very low budget trip. We used credit cards bonus points to finance most of the airline costs. We stayed in hostels and campgrounds. All travel was by bus, train, and ferry. We ate at a few resaurants, but most often in scenic locations with some salami, cheese, fruit, and a chocolate for dessert. We met and traveled with great people from around the world. During those five weeks, we visited Mt. Etna, Sorrento, Capri, Rome, Florence, Cinque Terre, PIsa, Venice, Lake Como, Milan, and Turin. The weather was great and the people were friendly. We don’t hitch, but if we were younger . . . . Matt, thanks for the great service you offer your readers. The people who complain and worry never leave home. Let’s keep traveling. It’s a big world and there is a lot more to see! It’s nice to see people talking out against this culture of distrust and fear that has become so prevalent, especially in the US. I’ve been on the road for about six months and probably will be for the rest of the year. I’ve had tons of people ask me if I’m worried about some of the places I’m going in Asia. I pointed out that the places I lived in the US had higher crime rates and MUCH higher violent crime rates. They generally just kind of shrugged. Its not something people like to think about, but life is fleeting and you can’t know what’s going to happen. I’d rather take, fairly minimal, risks abroad seeing the world than the same risks in a job I don’t like just doing the same thing every day. The first time I traveled alone, I was a bit worried, and excited, and my imagination’s running like crazy! But I realized I just need to act normal, and be not so suspicious of people around me.. you never know they might thinking of the same thing about you.. that you were just pretending to be an innocent girl but the truth is, you’re a psycho killer/suicide bomber. And those who haven’t traveled haven’t lived. What a great educational blog. I must admit that I have always felt a hesitation to a few types of traveling because I was uneasy regarding safety. Myths # 3,4, and 5 are such good examples. This has been an eye opener. I always thought that hitchhiking was unsafe even though I have done a lot of that in the past. I’m a 56 year old woman and a budget traveller. I’m a budget traveller because a) that’s how I’ve always travelled and I’m used to it, b) I prefer ‘character’ accommodation and inexpensive cafes to luxury, and c) now that I’ve retired I have a lot less cash to splash. In the past I have both couch-surfed and hitchhiked, and luckily I’m still alive. Don’t want to bore you with tales of the past, but let me just say that back in the day, we obviously travelled without all the technology that is at our fingertips today. I never phoned anyone. I never pre-booked a hostel. I had travellers’ cheques!!! So these days I see no excuse for anyone procrastinating about travel. You do not need a lot of money. You do not need to stay 5 star or eat Michelin stars. Sleep and eat under the stars – I did! I have travelled mostly solo, sometimes meeting up with people on the way, sometimes going with friends, and these days I often travel with my older sister. The backpack is the bag of our choice, as it is easier to manage – no wheels to crunch along cobblestones and disturb some quiet Mediterranean village! No bumping up 4 flights of stairs. A backpack leaves your hands free. You don’t need to take much. You won’t need all those clothes, believe me! Yes, now I take technology with me, and I don’t do dorms anymore. But I still don’t mind sharing bathrooms. Anyway, the upshot of this is – if I can do it, so can you. Get out there and travel. Just go. I would be lying if I didn’t say some of these myths were my initial thoughts when reading that first article – but of course, I did come around and realize the truth behind these assumptions I was making. Thanks for such an in-depth look! This is really interesting. I have two friends who have traveled the world like this. One was a male, one a female. M–, the man, never had problems. K–, the woman, however, was kidnapped in one country (not sure if he raped her or not, although why else would a man kidnap a a woman? She was never comfortable talking about it), and on a different trip in another country across the globe, a man stabbed her and slit her throat when she fought back after he tried to raper her. She miraculously survived and will always have that 6 inch scar across her neck. I like your article, but the male-female safety thing really hit home and I wonder what the actual stats are for females traveling alone. Good article thanks bro! I am a female (also small, pale skinned with red hair so I stand out!!) and I traveled around cambodia, singapore, Indonesia and australia by my self and as long as you have your wits about you you’ll be sweet. and it is sooooo easy to meet other travelers and I meet tons of other female solos who had had been solo traveling for ages. all these ‘extra dangers’ are such a myth. just trust ya gut and youll be fine. I’ve just turned 59 and my husband will be 60 next month. We have no home and we travel the world on £12 k per annum. We packed our jobs in 5 years ago. Since then we have been to China ( teaching English) Thailand, Vietnam, Laos,UK, Spain, Morocco, France, Portugal, Gibraltar and New Zealand. It can be done. Next stop may be Germany followed by Indonesia, and then who knows where …. Great post, sounds like the stereo types that the news constantly push are the motives behind this fear. My young daughter thinks she will be kidnapped one day because someone said it could happen. The reality is it almost never happens in Australia. But when it does, the news, beats the story to death, over and over again. If people stopped watching the news, their reality will totally shift. When travelling we are isolated from the daily news drama’s, and only local news becomes important. It’s refreshing. Love the Blog. Traveling alone as a single female is very do-able. Last year I took a 10-day solo trip to London, Warwick, Glasgow, Belfast, Armagh, and Dublin. I did not have on single bit of trouble, and found everyone so very friendly and helpful. I even played by Bodhran (Irish hand drum) at a session in a local pub in Dublin and did not leave until after midnight. I walked to my hostel (yes, I stayed in hostels the whole trip!) and did not feel uncomfortable doing so. Was such a wonderful trip. Would most definitely do a solo again when I get the chance to! Matt your a great inspiration and a good person to stand up for the wanderlusters out there. On the point of only being to do this when single and without a child, I have to completely agree with you. I think this is purely a traditional mindset and something that is hard to un-install from our minds. I thought the same when my daughter was born. However whether you plan to travel solo, as a couple or as a family, you always have to do some preparation. 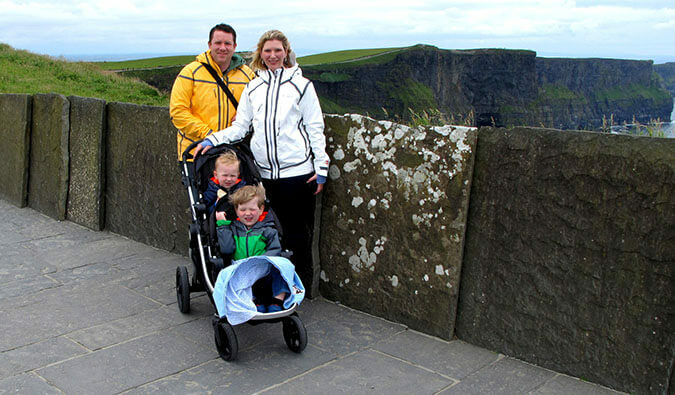 Being a family doesn’t mean it’s harder to prepare it just means you prepare for something different, all travel websites/agencies have the facilities to plan for family travel. Costs are slightly higher of course but that’s because you’re paying for one other person and if you can travel before your child is 2 you then they go free. Otherwise, hotels still cater for families, plus house-sits and home rentals are great for families wanting a home like feel on holiday. Some really useful links on this post Matt. Thanks. I must confess I was a little worried about Couchsurfing. I’ve probably watched too many horror movies. Sometimes it’s hard to unlearn stuff we’ve been programmed with. Travel certainly helps us see the real picture. Working holiday visas are open to some countries, not all, so finding job overseas might be easier for westerners, but it’s pretty tough for people from some country, like for instance, Singapore, where there’s only 1 country open for WHV, which is New Zealand. Fantastic advice! If you believe everything you hear and are that gullible, you’ll never truly enjoy any experience or accomplish any goals or fulfill your dreams. Travel is one of the best ways we can learn about the world and ourselves as well. An open mind and a good attitude are key to being happy. Great post! First, a HUGE congratulations on having George Takei share your post. That’s amazing! 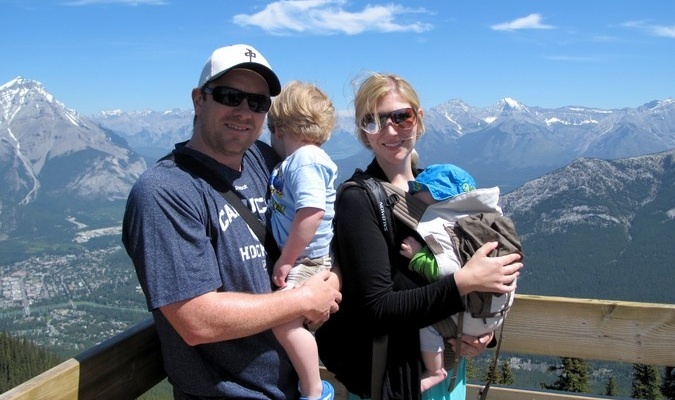 I run 2 blogs one is about Colorado and the other is personal finance and lifestyle. A lot of what you talked about in that post is discussed often in the personal finance blogosphere. It is not uncommon for people to: travel hack (open cards for mileage) coach surf, stay in hostels, use AirBnB, work abroad, and travel with kids. I think that there are a lot of people who lack imagination, may be fearful, or can’t imagine themselves doing what you do. I just returned from a 2 month trip to Australia and Hawaii I: stayed in hostels, churned credit cards and have mileage points for several trips (including another one to Hawaii with a ticket for a guest), cooked my meals, and stayed with friends. I also took buses interstate between Melbourne and Sydney (much nicer than in the States). In fact, I’ve traveled all over the world in this way and will continue to do this with some tweaks once I add a family. I would say that I’m leery of hitchhiking but other than that, I’ve had a phenomenal time traveling the world as a single (black) woman! Hi! I believe the only way to make the world a better place is to pretend we already live in the world we dream about! My dream was to walk Italy from the very southern tip to my home town, almost in Switzerland. I had nothing saved. I just did it (and I ‘m a woman, ALONE!) It took me 7 months and 10 days, walked for 2910 km and I left pennyless. People hosted me and fed me all the way. And as I was making my dream reality I asked them to give me their dreams in a written form. I came back pennyless but with a luggage full of dreams and with all of them I just finished writing a book that will come out in may! I had no problem whatsoever with anybody on my walk if not maybe the mayor of a town who really wanted to kiss me. not with the immigrants, the mafia, the people from the south, the gypsies. with the Mayor! but the only way to find all this out is to hit the road with no regrets! First off great article! When Ash and I were planning our RTW trip we had a few family and friends who worried about our safety. We try to explain and debunk these myths that we were safe and know how to use good judgment. Some came to and others did not. We have now been on the road 5 months and strangers have been so helpful to us! We originally learned this living in Rome and traveling but getting back on the road just reconfirmed what we already knew. Most people are friendly and willing to help just use your judgment. I also hitchhiked for the first time at met a great Croatian couple who offered me free apples and water as they took me into town. Also right now I’m working harvest and have a free apartment as payment. Great hard work that I love and a great free bed to go back home to. Its all about research and using judgement. Again great article, I’m all for debunking these myths! Great post and I especially liked the section on travel for women. I am a long time, strong advocate for female solo travel. I founded the #WeGoSolo movement online to promote female solo travel. And I publish Breathedreamgo.com a travel blog that promotes female solo travel to India. I have travelled safely across India for a total of 2 years, and though I am cautious, I have rarely felt unsafe, if ever. The media sensationalizes and over-hypes the fear factor! Some people use fear as an excuse not to do things, especially when they read or hear something that goes against what they always believed. I can’t agree more with Myth #1, I was one of the people who thought travel was way out of reach because of cost, but you nailed it on the head. People have huge misconceptions of traveling only being for the rich at nice resorts and straight out of a travel magazine or ad. There are so many more options and resources available out there. Also, your myth about hitchhiking was really interesting! Who would have known the fear of hitchhiking goes all the way back to the FBI in 1950s!